This week's D.C. Circuit ruling siding with Comcast in its carriage dispute with Tennis Channel came as little surprise. 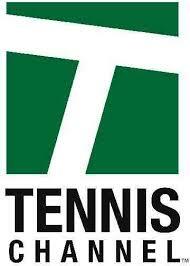 It ruled that the Federal Communications Commission failed to justify its conclusion that the cable provider (known as a "multichannel video programmer distributor" in today's parlance) discriminated against the Tennis Channel (not owned by Comcast) by placing it in a more expensive tier than the Golf Channel and Versus (now the NBC Sports Network). The ruling is available here. For cable services, the ruling will come as a big relief. The opinion concluded that the FCC's determination Comcast's disparate treatment of the Tennis Channel by tiering it in a more expensive package was not discriminatory under sec. 616 of the 1992 Cable Act, and rejected the Commission's factual basis for making that determination. Judge Williams, writing for the court, stated that the FCC failed to provide "adequate evidence" to bolster its claims of discrimination. He did not address the more fundamental argument made by Comcast -- that the statute, or at least its application, was a First Amendment violation of the free speech rights of the cable provider. Basically, the court found that there were valid reasons for placing the Golf Channel and Versus on a lower, cheaper and more widely distributed tier than Tennis Channel and that there was no evidence that this differentiation was based on the fact that Tennis Channel was not a part of Comcast. Additionally, there was no evidence presented that Comcast would gain any financial benefit by placing Tennis on that same tier of service as the others, noting that no expert witnesses, or written studies were provided. That lack of evidence of any potential financial game was crucial in the court's determination. So, the court essentially rejected the FCC's emphasis on the similarities of the programming on the Golf, Versus and Tennis Channels and the disparate treatment of them, without anything more. There were two concurring opinions. Judge Edwards discussed procedural issues (not the focus here), but Judge Kavanaugh produced an analysis of sec. 616 in terms of antitrust jurisprudence, with a passing reference to First Amendment standards. As to the antitrust issue, he opined that sec. 616 violations should be based on the same standards of proof as antitrust claims involving vertical concentration because sec, 616(a)(3) requires that the FCC enact regulations that prevent the cable operators from discriminatory conduct which "unreasonably restrains" the ability of the unaffiliated service to fairly compete. In so doing, he found that there was no per se violation and there was no evidence of undue market power on the part of Comcast (a point that is debatable, given the general monopoly nature of cable operators). Therefore such vertical restraints (as found with the connection between Comcast and Golf/Versus) was presumptively pro-competitive. Judge Kavanaugh then pushes what I think is a speculative connection between antitrust the First Amendment principles. He states: "applying sec. 616 to a video programming distributor that lacks market power would violate the First Amendment as it has been interpreted by the Supreme Court." Cases that generally applied an intermediate scrutiny test that has been upheld by the "monopolistic characteristics" of cable programmers and the need for access. I am not convinced at the connection and there is no specific mention of such a connection in Turner v. FCC, 512 U.S. 622 (1994) which upheld mandatory carriage requirements under an intermediate scrutiny test. He also that technological changes have weakened any undue market power of cable operators, inferring that the today, unlike the 1990s, cable regulations such as sec. 616 would be harder to justify today. The majority did not wade into this territory, but nonetheless gave Comcast a big win. It would be more difficult for independent sports channels to provide discrimination, at least in the DC Circuit. 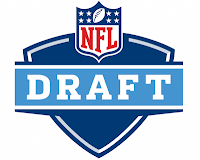 By pushing the NFL Draft back two weeks in 2014 to May 8th-10th, the league showed no favoritism to agents, prospective players, team personnel, or the fans--they all are negatively affected. While no sympathy will be offered by the general public to agents, pushing the draft back extends the time during which they pick up expenses for their clients. Traditionally, agents will absorb the costs of pre-draft training which will include combine prep, living expenses, travel, and an assortment of other "benefits." Now, while powerhouse firms can easily assume the marginal additional expense, agents often spend between $10,000 and $20,000 on each client. Obviously, for agents with fewer clients or alternative revenue streams, the additional weeks of "investment" in their clients becomes a burden. Much like the summer of 2011 when the lockout extended the time during which agents covered their client's expenses, there was a clear distinction between what larger agencies were able to cover versus smaller firms or individual agents. There is no real benefit to the potential draftable players, other than extended an already difficult time period. Since the NFL is not changing the dates of the Combine, preparation for elite prospects will still start immediately after the bowl season. There will still be a rush to sign with an agent, have them pick up training costs, and begin immediate preparation for the Combine. These players will need to be in peak form for All-Star games, the Combine, perhaps for their school's Pro Days, and then there will still be another 6 weeks before the draft--more than enough time to slip, either physically or with a mistake. And this extends the time that unsigned free agents have to patiently wait for teams to fortify their rosters with rookies (i.e. cheap labor) before they are able to resign with an NFL team. Again, no one cares if a scout or assistant GM needs to go without sleep for another two weeks but this maneuver extends the time under which these individuals are under exorbitant amounts of pressure. The extra two weeks provides no additional insight into a player's potential so there is no evaluative benefit to this additional time. 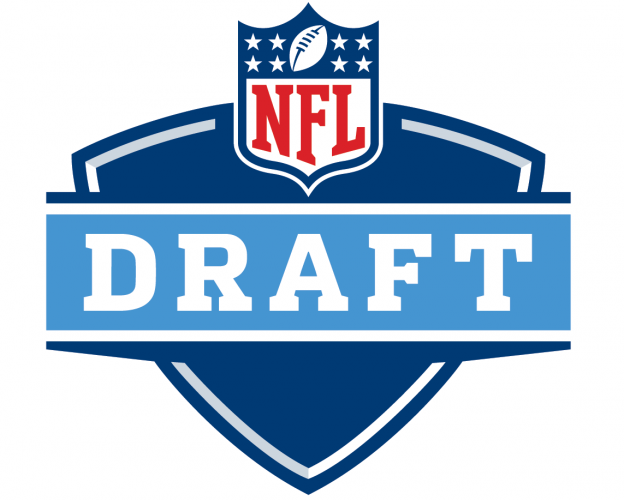 Hey, look, another two weeks of your favorite draft prognosticator telling you who your favorite team will select in the 6th Round! A colossal waste of time--unless you listen to Mike Mayock who, and I'm partial because he's a Boston College alum, is fantastic. For the future, either the NFL Draft should revert back to April, or the League Year should also be pushed back--thereby moving the Combine, the start of free agency, and other calendar items. However, as it stands today, does anyone see any winners in this move? I'm honored to be the Distinguished Visiting Hall of Fame Professor of Law at Mississippi College School of Law, where I taught full-time from 2005 and 2008. 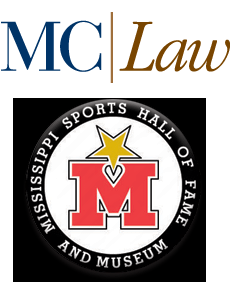 I now teach a sports law course there every May and I remain active in the Mississippi sports and legal communities. I consider Mississippi my other home state. Part of the problem is that the NFL and NFLPA have a strained relationship, to put it mildly, partly due to the lockout and partly due to years of not trusting one another. Part of the problem is also that the NFL commissioner has tremendous, non-reviewable powers, and that the players accepted those powers in collective bargaining. Had the lockout not dragged on right up until the 2011 season, I suspect the players would have had more time to negotiate more due process. But they didn’t, so the commissioner’s authorities remain quite strong. I just finished reading Sport as Speech, a new paper by Genevieve Lakier (currently a law clerk on the Sixth Circuit); Lakier argues that spectator sports are expressive activities entitled to First Amendment protection (or at least First Amendment scrutiny of any regulations). It is an interesting notion that I had not thought of, although if she is right, it certainly strengthens my arguments about fan speech. Two further thoughts on the paper. 1) Lakier takes on prior scholarhip and case law (notably a 2002 student comment in Yale LJ) arguing that sport is protected only to the extent it is close to being a dance or theatrical performance--for example, gymnastics, diving, and figure skating. These are the events that I have argued are not sport because the results are determined by evaluating the intrinsic merit of the athletic skills performed, as opposed to sport, where the result of that performance. In other words, under this approach (which Lakier rejects), non-sport is expressive, but sport is not expressive. So there is yet another reason for figuring out what qualifies as sport. 2) Lakier expressly limits her argument only to spectator sports, arguing that the expressive component of sport comes from players performing for a crowd. But I wonder if that cuts her case short. She relies a lot on the similarity between sport and other conduct widely recognized as expressive, notably music and dance. But those activities enjoy First Amendment protection even if not done for an audience; a prohibition on dancing in private or when no one is watching (think Footloose) would violate the First Amendment. So if basketball is expressive when played for a crowd, why not when it's ten people playing in an empty gym or playground or even one person playing in the driveway? In adopting and applying the transformative use test for balancing the First Amendment against the right of publicity, yesterday the Third Circuit ruled in Hart v. Electronic Arts that the First Amendment does NOT trump college players' right of publicity in the context of video game use of their likenesses. The court's 62-page opinion is here and it is a fascinating read for those of you who, like me, have an interest in right of publicity law. We reject as inapplicable in this case the suggestion that those who play organized sports are not significantly damaged by appropriation of their likeness because "players are rewarded, and handsomely, too, for their participation in games and can earn additional large sums from endorsement and sponsorship arrangements." (citations omitted) If anything, the policy considerations in this case weigh in favor of [the athletes]. As we have already noted, intercollegiate athletes are forbidden from capitalizing on their fame while in school. The right of publicity claim in the O'Bannon/Keller consolidated case is pending appeal on the opposite side of the country in the Ninth Circuit. The district court in that case has already ruled that the First Amendment does not trump the players' right of publicity in the context of video game use. It would surprise me if the Ninth Circuit does not ultimately uphold the district court's ruling. But even if the Ninth Circuit were to reverse the district court, it would result in a split of circuits on this question. The bottom line, therefore, is that this is a highly significant and ground-breaking decision by the Third Circuit in favor of college players. Warren Zola has an outstanding and provocative piece in this past Sunday's Boston Globe Magazine arguing that college athletes should be paid. Be sure to check it out. "Pros or Cons" Thoughts For The Modern "Sports Attorney"
On occasion, an oversized lineman may find the football bouncing into his arms on a fortunate bounce from a fumble to which he may then lumber anywhere from a few to more than he thought he was able, yards into the end zone for an awe-inspiring score. However, this is not his expertise and far from the position assigned which he has spent in years of training, practice and preparation. So what happens when you find yourself with the "perfect client" but the client needs work in a field in which you lack essential experience? Do you run with it and hope for the best? In the alternative, do you take a look at the clock, use your last time out and confer with the coach? The prior installments should suggest the answer. Although a lawyer need not have sufficient competence to handle a matter before taking it on, the lawyer must either be prepared to acquire the competence on a timely basis or to bring in someone who already has the competence. And just as quarterbacks do not necessarily make the best tackles, so too a lawyer-client team may be best served if each player fills the role, and only the role, for which that player has the greatest expertise. An attorney's job is to put the client's goals first and foremost. And even from the attorney's selfish point of view, time spent by an attorney to learn what other lawyers already know may be time that the lawyer simply cannot bill to the client. In other words, both Al and Mega may be best served if Al is, and remains, quarterback rather than trying to play eleven positions at once. For Sports Illustrated, I write and discuss who I consider to be the 15 Most Influential Sports Agents. You know you've made it when teams' personnel decisions are shaped by whether players have you as their agent. And you know you've really made it when a league changes its draft rules because they don't know how to beat you in a free market. "He's a Boras client" is a phrase uttered by baseball executives with irritation, fear and admiration. It means the player is likely to test the market whenever he can become a free agent and will probably go to the highest bidder. It also means the player's advocate will make a sales pitch like no other. Scott Boras negotiated Alex Rodriguez's 10-year, $252 million deal with the Rangers, Barry Zito's 7-year, $126 million deal with the Giants and literally dozens of other free-agent contracts that seemed over-priced then and now. He also arranged for top draft picks -- including J.D. Drew and Jason Varitek -- to play in independent baseball leagues as a way of obtaining negotiation leverage. Baseball has instituted new rules capping how much teams can spend on drafted players, rules which Boras derided as "mockery" but were in fact a tribute to him. To read the rest of the list, click here. The quarterback throws, the running back runs, and the kicker kicks. Each member of a team serves a distinct and valuable purpose. Although a sports attorney may at times need or be tempted to wear a number of different hats, it is important to remember which hats are the most important, which are necessary, and which are problematic. In our continuing hypothetical, Mega Star's requests of Attorney Al include the organization of Mega's motivational speaking business and the filing of Articles of Incorporation for Mega's motivational speaking business in Delaware and legal advice in connection with Mega's purchase of a vacation home in Florida. As a first question, one might consider whether Al already has the legal competence to handle these Delaware and Florida matters. If not, then he will either have to take the time to learn enough law to make himself competent or, alternatively, to associate with someone who already has the requisite degree of competence. It does seem highly unlikely, however that Delaware would view Al's formation of a Delaware corporation as the unauthorized practice of Delaware law. If Delaware law did so, the state could not play the preeminent role that it plays in corporate formation on a national level. Whether Al's involvement in a single real estate transaction for a non-Florida resident would provide him with sufficient Florida contact to subject him to the Florida RPCs would have to be addressed under Florida RPC 4-8.5, though it seems to us that that should not be enough. It should be clear, however, that Al's likelihood of being subject to the Florida RPCs will be materially greater if he regularly helps clients buy Florida real property. In our next and final installment in this series, we will look at a further real reason why Al may want to "share the glory." Introducing legislation is easy, enacting it is hard. So an all likelihood this is not going anywhere. John McCain today introduced the Television Consumer Freedom Act of 2013, which primarily would allow cable companies to offer channels a la carte, rather than exclusively in packages. But buried in § 5 of the bill is a provision that would eliminate blackout regulations for games played in stadiums that were financed, in whole or in part, by federal, state, or local government. This would repeal a portion of the Sports Broadcasting Act of 1961, passed at the urging of NFL Commissioner Pete Rozelle, which allows teams to blackout home games in local markets. McCain described the practice of preventing taxpayers from watching games played in arenas that their tax dollars had paid for as "unconscionable." Many of my ideas on fan speech depend on legal consequences and limitations attaching to public financing of sports venues, so I am glad to see the bill relying on the same idea. Of course, most legislation is introduced for show and there is no apparent groundswell of public or legislative support for this, so I do not expect the bill to go anywhere. And it has more than a little whiff of McCain trying to play populist maverick against the broadcast/cable industries (recall that McCain criticized radio stations for the boycott of the Dixie Chicks in 2003). Still, it is an interesting proposal to watch. 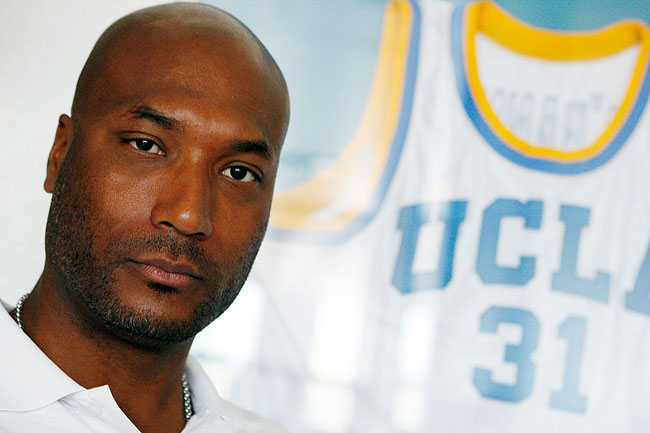 The O'Bannon v NCAA case crawls along. Presently the courts are trying to determine the scope of discovery leading up to the trial itself. There was a hearing yesterday (May 8th) in San Francisco before U.S. Magistrate Judge Nathanael Cousins, in part, to determine from whom the plaintiffs would be allowed to take depositions. This is an important step in the process as the case heads progresses towards the June 20th hearing before U.S. District Judge Claudia Wilkins on class certification. 4. NCAA managing director of research Todd Petr. For a detailed report on yesterday's proceedings, and comments from both sides, you can read the excellent piece by Steve Berkowitz of USA Today here. "Jeremy Strauser, who worked at EA from 1995 until 2011, testified last December that computer-game avatars were linked to specific player identifying numbers and biographical information, such as team depth charts, was used to make the game realistic. "We generally tried to make the players perform as their real life counterparts, short of their name and likeness," Strauser testified." This story captures why people like me like using sports to illustrate legal ideas. 1) The umpires went to video review of a disputed non-Home Run call. And despite everyone (including the opposing team's announcers) believing the ball was a home run, the umps upheld the call. Why? Because video review still involves judgments and inferences, depending on the angle and what each individual sees. Contra Justice Scalia, the video does not necessarily speak for itself; someone has to figure out what the video is saying and that is going to vary on the viewer. Video just gives sports fans another thing to argue and complain about with respect to umpires. 2) The manager for the losing team was thrown out after this happened. Baseball has specific rules on what and how you can argue with umpires. One rule is that if a manager requests video review, he cannot argue over the results of that review (much as he cannot argue balls and strikes). Nor can he protest the review decision to the league, which is a non-reviewable judgment call. So you can make a motion, but not a motion for reconsideration. And you cannot appeal. 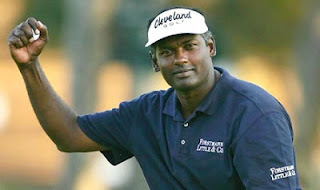 I have an article for Golf.com on Vijay Singh's lawsuit against the PGA Tour over his would-be suspension for using deer antler spray (which he admitted to in a Sports Illustrated story by David Epstein and George Dohrmann). He also takes sharp aim at what he portrays as a disingenuous right to appeal the suspension. According to the lawsuit, the PGA Tour told Singh in February that if he appealed the 90-day suspension, the suspension would not begin until after an appeal was heard in May and was found unsuccessful. Pending the appeal, Singh could continue to play on the PGA Tour. Singh, however, claims the PGA Tour told him that any money he earned during the pending period would have to be put in escrow and subject to forfeiture if he lost the appeal. In other words, if Singh appealed and lost, he would have lost more than 90 days’ worth of money: he would have forfeited any money he earned while pending appeal, plus money he could have earned over the 90-day suspension. In Singh’s view, the message was clear: he would be punished for appealing. Singh insists no other golfer has been subjected to this arrangement and that it constituted bad faith. Readers in the Washington, D.C. area may be interested in attending an upcoming event organized by the Supreme Court Historical Society where the oral argument from the 1972 Supreme Court case of Flood v. Kuhn -- affirming baseball's historic exemption from antitrust law -- will be reenacted. The event is scheduled to be held at the Supreme Court on Wednesday May 22nd, with Justice Sonia Sotomayor presiding. More information for the event, which costs $75 to attend, is available here. NBA player Jason Collins famously came out as gay last week, the first active player in a major U.S. team sport to do so. The reaction was the expected mixed bag. One mini firestorm erupted over comments by media critic Howard Kurtz, who chastised Collins for not owning up to his having been engaged to a woman. Unfortunately for Kurtz, Collins actually mentions his engagement (along with the fact that he dated women) in the eighth paragraph of the Sports Illustrated cover story. Kurtz apologized--initially in a typically half-assed fashion, then more unequivocally--and was grilled about it on CNN, stating "I deserve the criticism, I accept it and I am determined to learn from this episode." He also was terminated from The Daily Beast, although he insists this was in the works for a while and the timing was a coincidence. Criticisms of Kurtz, and his apology, all focus on the factual error of his criticism. But this suggests that had Kurtz been correct and Collins had not mentioned the engagement, Kurtz's criticism would have been justified. Is that right? hat bothered me about Kurtz's initial story (but that I did not see discussed) was the stupidity of his premise: Collins was not being completely honest or forthcoming in excluding the detail of his engagement from the SI story. When a public-figure comes out, does the story really have to be "complete" and does that completeness necessarily include details about past heterosexual sexual activity? And how deep does this run--what is it, exactly, that Kurtz believes the public is entitled to know? Is it only the engagement about which Collins was obligated to "come clean"? Is it all dating? Is it the number of heterosexual sexual partners? Collins is 34 years old and only recently (within the past several years) came to understand his sexuality. It stands to reason that in the decade-plus between puberty and his coming out, he dated and had relationships, perhaps even long-term and serious relationships, with women. But why is that fact remotely relevant to the story of his coming out? Does it make him less gay? Does it make his story less sympathetic that he behaved as many closeted (or unrealizing) GLBT people do and as people have been forced to do by society, particularly in the world of team sports?